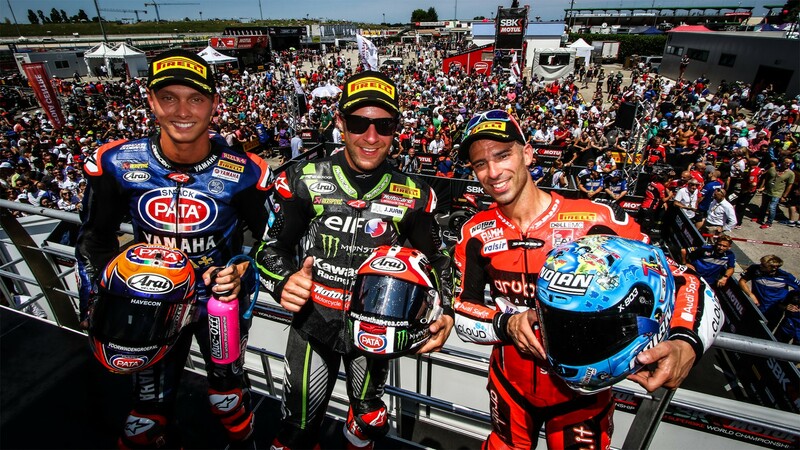 The MOTUL FIM Superbike World Championship rolled into Misano World Circuit for the ninth round of the season this weekend, as they prepare to go into the summer break after a stunning set of races which have welcomed six different winners so far. Misano brought the drama last season, and this year was no different with amazing battles, home heroes and emotions running high. We’ve put together a selection of the best videos for you to enjoy. 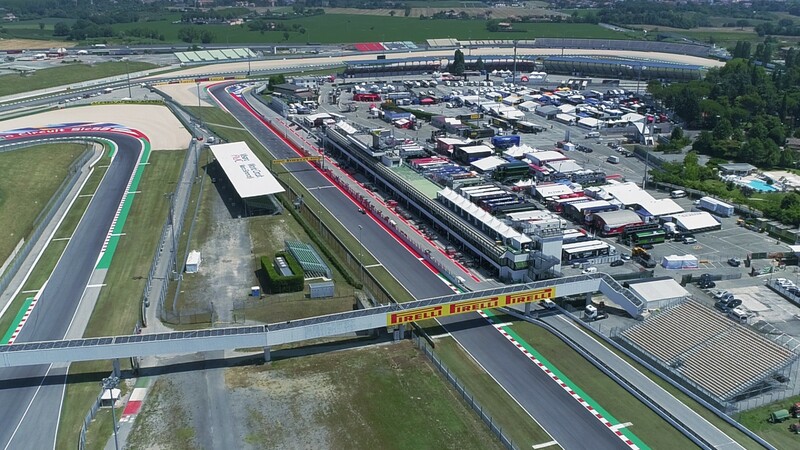 In order to prepare you for the full Misano experience, you first need to understand the 4.2km circuit and find out the key parts of the track. Join Chaz Davies (Aruba.it Racing – Ducati) as he takes you for a flying lap, and understand the nature of the circuit with the two time podium finisher. 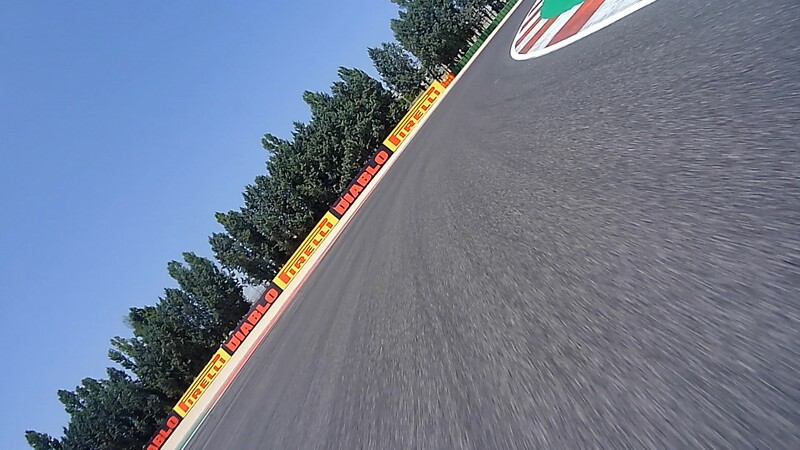 Soak up the atmosphere of pit lane, the garages and the circuit as we film the part of the circuit you don’t necessarily get to see every day. As the bikes prepare to get out on track, take a look at the track their about to take on and the garages where their bikes are being prepare for the weekend ahead. 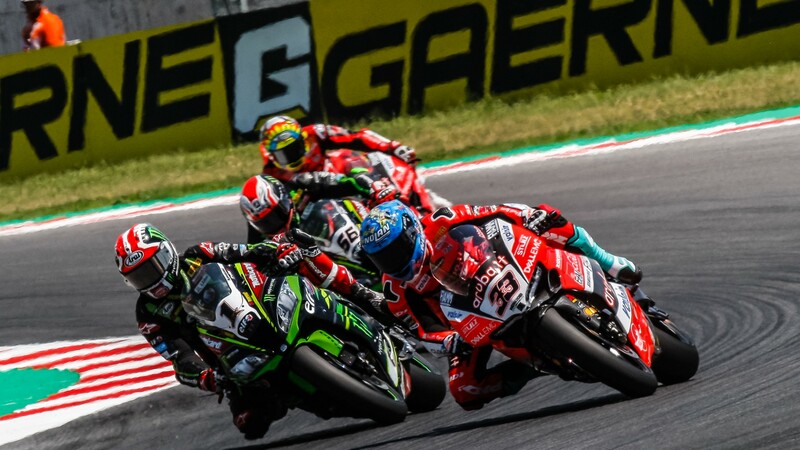 WorldSBK race one welcomed stunning racing action and a classic showing of race craft from our reigning world champion, as his goal of having a strong weekend ahead of the summer break was becoming a reality. But, to win a race like that still takes a huge amount of skill. Take a look at how Jonathan Rea (Kawasaki Racing Team WorldSBK) did it, and who else joined him on the podium. In one of the most anticipated races of the day, World Supersport delivered once again as the title charge continues to be wide open into the summer break. With 34 points now splitting the top four in the championship, there was plenty to play for out on track, and fans were treated to home glory, stunning overtakes, a great bounce back to the top and some heartbreak. Don’t miss out on the highlights from the eighth race of the season. Reigning WorldSSP champion Lucas Mahias (GRT Yamaha Official WorldSSP Team) had a weekend to forget in Italy, as his title defense continues to slip away in 2018. After running in the top four in the opening laps, he suffered a crash at turn 10. 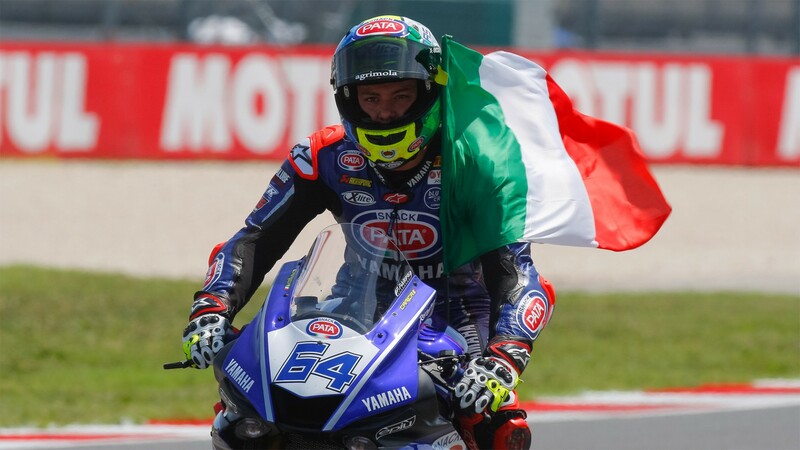 Able to rejoin however, it was too difficult for him to continue and the Frenchman retired from the Rimini Round. WorldSBK race two’s battle for the victory came down to the final lap, as the Michael van der Mark (Pata Yamaha Official WorldSBK Team) led the way for the majority of the race, but had Rea and Marco Melandri (Aruba.it Racing – Ducati) in hot pursuit of the top step of the podium. Not to mention the sensational opening laps which saw Chaz Davies (Aruba.it Racing – Ducati), Tom Sykes (Kawasaki Racing Team) and Xavi Fores (BARNI Racing Team) in contention. Don’t miss out on the highlights today. Fighting his way through the field from the third row of the grid, Rea was able to show once again his stunning skills on the ZX-10RR with some sensational comebacks out on track. Take a look at his comeback through the pack. 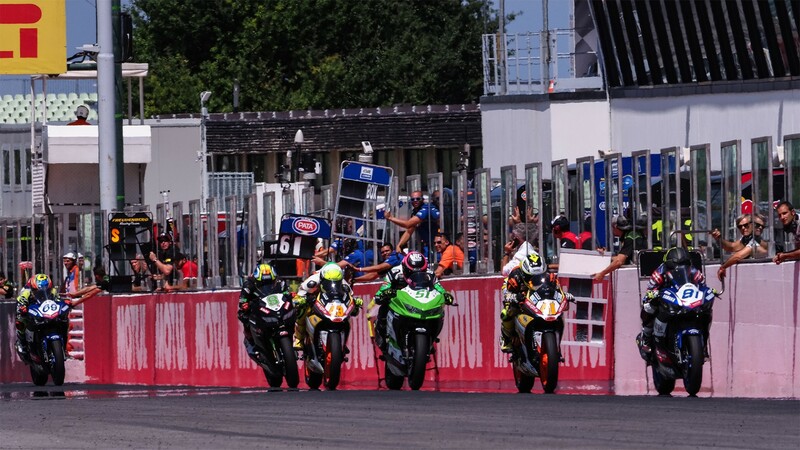 In a race which is always decided on the final lap, the WorldSSP300 battle out on track in Misano was nothing short of sensational this weekend. Throw wild cards and one event riders into the mix, then it becomes even more unpredictable. Enjoy all the highlights from Sunday’s race here. 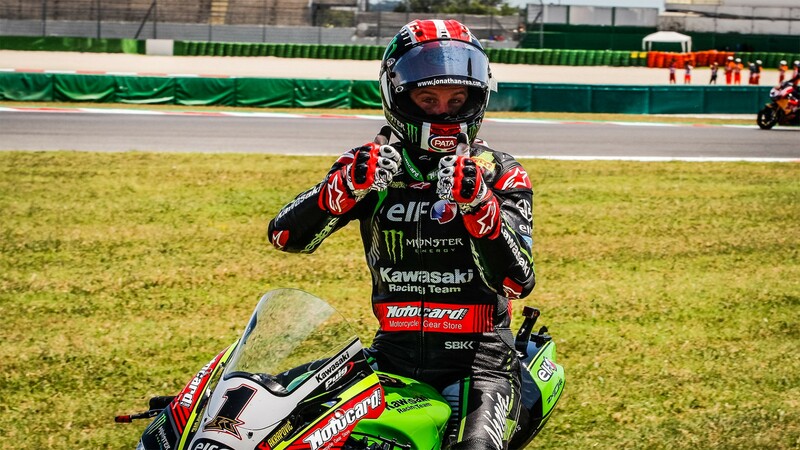 Showing the crowd his best moves, Jonathan Rea (Kawasaki Racing Team WorldSBK) was certainly happy to do the double in Misano this weekend. Take a look at how he celebrated the victory here, to end the weekend on fine form. All of these videos and many more can be enjoyed with the WorldSBK VideoPass, which will be full of SBK® content right through the summer break.